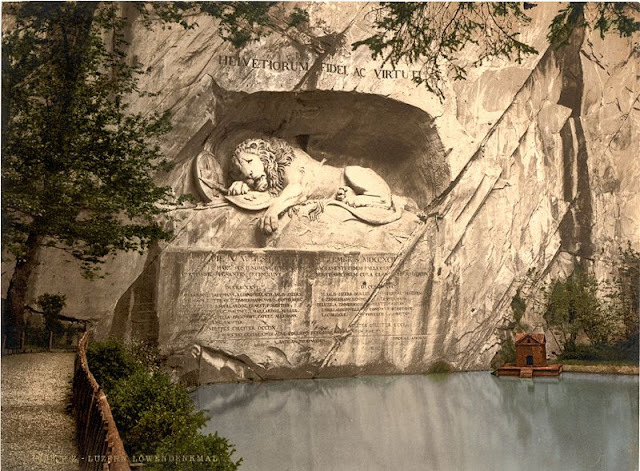 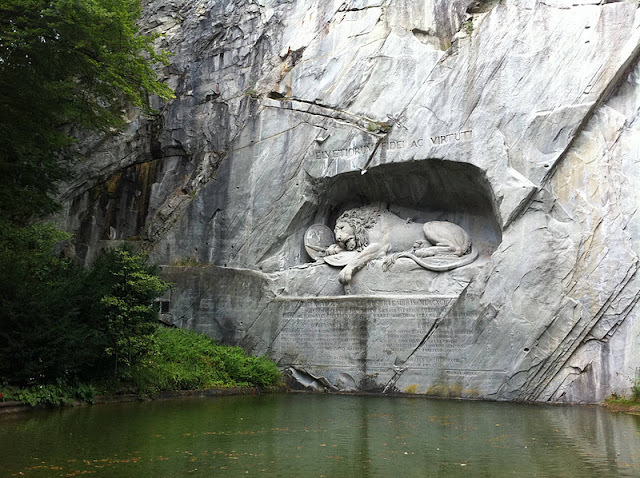 The Lion Monument, or the Lion of Lucerne, is a sculpture in Lucerne, Switzerland, designed by Bertel Thorvaldsen and hewn in 1820–21 by Lukas Ahorn. 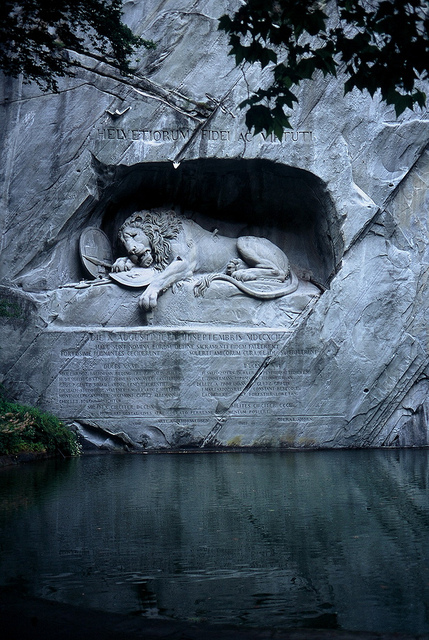 It commemorates the Swiss Guards who were massacred in 1792 during the French Revolution, when revolutionaries stormed the Tuileries Palace in Paris, France. 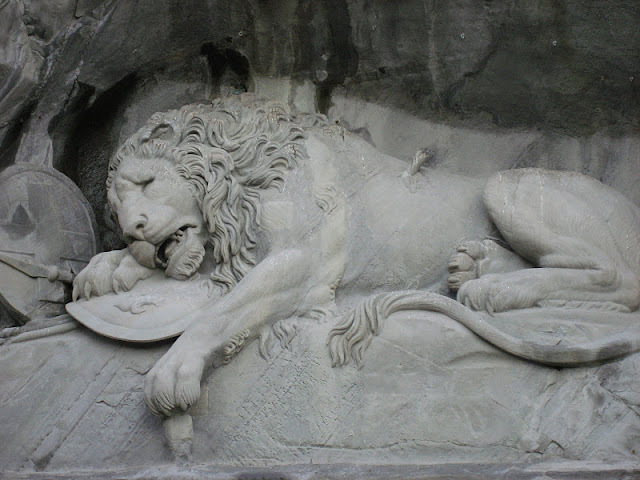 The American writer Mark Twain (1835–1910) praised the sculpture of a mortally-wounded lion as "the most mournful and moving piece of stone in the world."